Eclipses have an awesome capacity to plunge us into darkness, leaving us wondering what the hell happened. 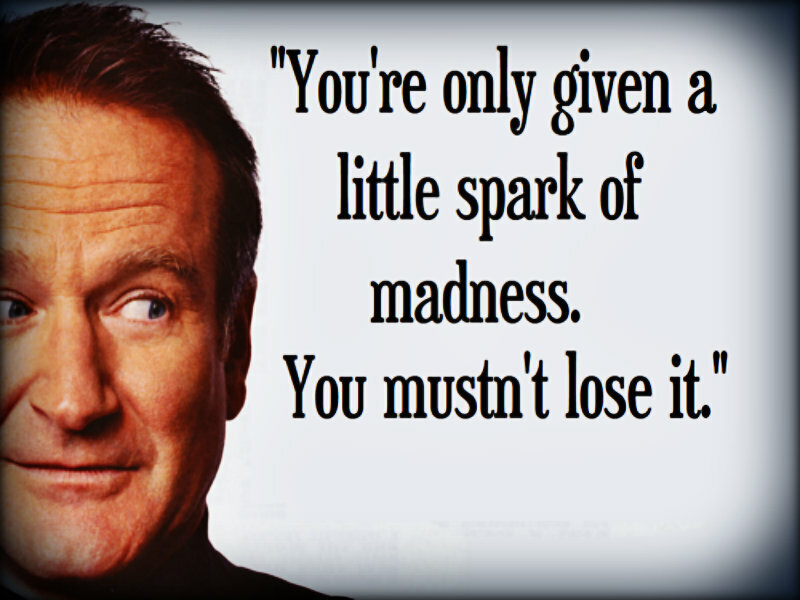 In the wake of Robin Williams’ suicide, such is the collective state of mind of fans throughout the western world. 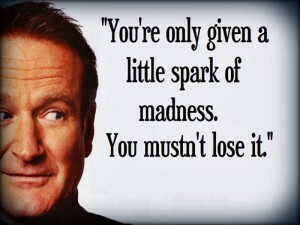 If there was one word to describe Robin Williams, it might have to be manic. As far as we saw, there was nothing nasty or threatening about it, but he possessed an irrepressible level of energy. He was the toy wound up so tight that, once set loose, spun wildly out of control in ways that surprised and delighted us. He was the lovable child with ADHD who couldn’t sit still, but was so entertaining that, after your stomach stopped aching from belly laughs, you just wanted to give him a big hug. Ultimately, he was the jack-in-the-box that sprang from our TVs to startle us with his physical antics, his motor-mouth delivery, and his off-the-wall quick-change persona that defied containment. Truly, once he was set loose in the media world, the genie was out of the bottle. 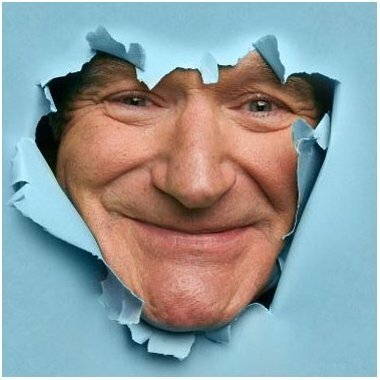 Robin Williams was born July 21, 1951, at 1:34 CST PM in Chicago, Illinois (Birth data courtesy AstroDataBank). Note: in Vedic astrology, all planetary and cuspal positions are sidereal. The Moon’s nodes play a dominant and defining role in his chart. Rahu and Ketu, the north and south nodes, respectively, are associated with aberrant, iconoclastic, innovative, oddball, quirky, rebellious, strange and unconventional behavior. Williams’ ascendant lord Venus lies directly on the Rahu/Ketu axis. So does his Moon, the secondary indicator of the Self in any person’s chart. These two factors alone might have dictated a personality, a lifestyle or a career that eagerly embraced invention, novelty or unknown territory. Rahu itself is strong, occupying its own nakshatra and sitting in Aquarius, the moolatrikona sign of Saturn. On a generic level, Rahu acts like Saturn and through its moolatrikona sign embraces that which lies beyond the pale, out on the fringe, beyond the norm. 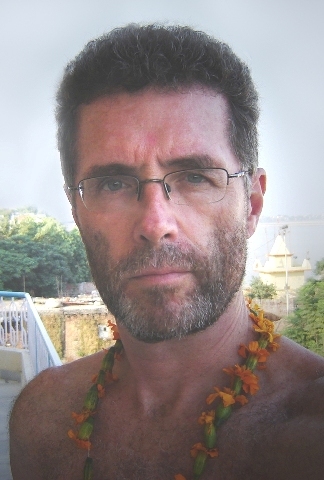 Williams’ ascendant and three of his planets (Moon, Mars and Rahu itself) occupy Rahu nakshatras. As if Rahu’s influence on lagnesh Venus and Moon weren’t enough, its quirky nature was also invoked every time Williams ran a Moon, Mars or Rahu bhukti. (As per Krishnamurti Padhdhati, dasa and bhukti lords during their periods act on behalf of their star-lords). 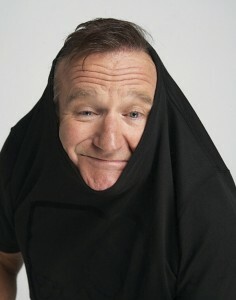 Williams shot to fame in September 1978 as the star of the sitcom Mork & Mindy. He was running SA-KE at the time. Although Saturn occupies the 12th house, it sits in a Sun nakshatra and therefore invoked Williams’ Sun, lord of the 11th, in the 10th house with dig bala. Williams had three marriages. His 7th lord Mars sits in dual sign Gemini, aspected only by Saturn. Venus the karaka of love relationships sits on the Rahu/Ketu axis. Venus is debilitated in the navamsa and afflicted by both Mars and the Rahu/Ketu axis. Mars also ruled his 2nd house of diet, which was eclectic to say the least, veering from alcohol and cocaine to strictly vegetarian, and then back again to accommodate his on-and-off-again struggles between sobriety and substance abuse. The 2nd house also rules speech and verbal facility. 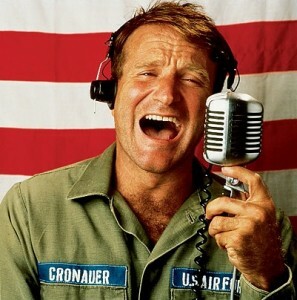 Williams was a brilliant imitator, and in a single skit was capable of playing multiple roles in a dialog that ping-ponged back and forth between different voices, leaving his audience gasping for breath between laughs. Although mentally agile, verbally quick-witted and extremely engaging when he chose to be so, Williams also suffered recurring and debilitating bouts of depression. In jyotish, the emotional state of mind can be judged via a consideration of the manas. Technically, this is the part of the mind that registers sense impressions and thus forms the basis of raga and dvesha (attraction and repulsion), and thereafter influences behavior through a pursuit of pleasure and avoidance of pain. The 4th house is the seat of the emotional mind. Thus, we can examine it for stress by occupancy or aspect by Saturn or Rahu, the two grahas that seize and possess the mind with anxiety and dread. However, neither of them occupy or aspect the 4th house, so as far as that first phase of analysis is concerned, there’s no problem. Saturn is the lord of the 4th but that’s natural for anyone with a Libra or Scorpio ascendant. However, in Williams’ case, Saturn has gone to the 12th house and that does pose a problem, figuratively suggesting that the mind is “at a loss”, or “peace of mind” has gone missing. Although the 4th house and its lord are its primary significators, the karaka or generic indicator of the manas is the Moon. And there’s the rub. Williams’ Moon is in Aquarius, a sign ruled by Saturn, and in Satabhisha, a nakshatra ruled by Rahu. Furthermore, the Moon is in close conjunction with Rahu itself. Even in the navamsa, the Moon is in Aquarius with its sign-lord Saturn. The oppressive influence of Saturn and Rahu on the Moon are destabilizing for the mind. This can result in anxiety disorders, depression, neuroses, paranoia and other psychological problems. If we examine Williams’ dasa sequence, we can see that he’s had a lifetime of struggle with isolation and loss. He was born into Rahu dasa. Among other influences, Rahu acts as a proxy for its sign-lord Saturn positioned in the 12th house of loss. Next came Jupiter dasa, whose star-lord is Mercury, which rules the 12th house. As for Saturn dasa, the planet of loneliness itself occupies the 12th. As for Mercury dasa, Mercury owns the 12th. Only in Ketu dasa is there a departure from this consistent 12th-house trajectory. The nodes give results of planets with which they are associated, which aspect them, or rule the signs in which they are found. In the case of Ketu, its primary “client” is Venus, ruling both the 1st (the Self) and the 8th (trauma and death). Williams died during KE-ME. As noted above, Ketu dasa set the larger stage for trauma or death. But Mercury bhukti was a powerful driver for isolation, loss and surrender, because Mercury is in its own nakshatra. Before we consider what might have precipitated Williams’ suicide, we must first ask ourselves whether there was anything in his chart to suggest that possibility. Although there are many combinations for suicide, one of them involves mutual Mars/Saturn aspects, typically across the 6/12 houses. In Williams’ case, we do have sambandha (bonding) between Mars and Saturn, courtesy their special aspects from the 9th and 12th houses, respectively. In this chart, Mars is a double maraka, or agent of death. Interestingly, it also occupies the nakshatra of Ardra, the vale of tears. With the stage set in KE-ME, and the main actors Mars and Saturn identified, there remained only the final combination of forces to align. The week of Williams’ death, transiting Mars and Saturn were together in Libra, within a few degrees on either side of his ascendant. Mars was in Swati, the same Rahu-ruled nakshatra of Williams’ ascendant. The evening of August 10th, the Moon re-entered its natal sign of Aquarius. During the hours between midnight and two AM, the local ascendant was in Taurus, the sign of Williams’ 8th house. A combination of circumstance and emotions, kindling anxiety and despair, likely conspired to make Williams believe that now was as good a time as any to leave the world. If only he’d asked, the world would have shouted, No, we need you – your genius, your spirit, your comic gift that made us laugh so hard we forgot ourselves, even if only for a few minutes. But we will not forget you. Alan Annand is an astrologer and writer of crime fiction, including his New Age Noir mystery series featuring astrologer and palmist Axel Crowe, a criminal profiler with a horoscope. Thank you, Alan, for this analysis… What a great way to commemorate him and his genius! Noticed also that Rahu in Virgo was transiting the 8th house from his natal Moon. According to Phaladipika the effect can be “danger to life”. Since he was running Ketu, this effect of Rahu by transit was likely to become even more of an issue. Thanks, Oana. Nice observation. Sometimes the classics ring a clear bell.